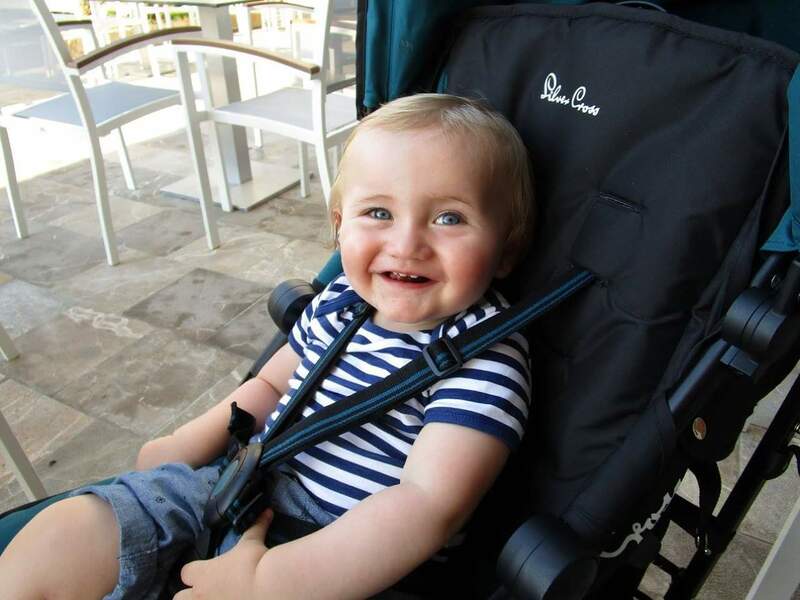 One bit of kit you have to get right when travelling abroad with a baby is the stroller. 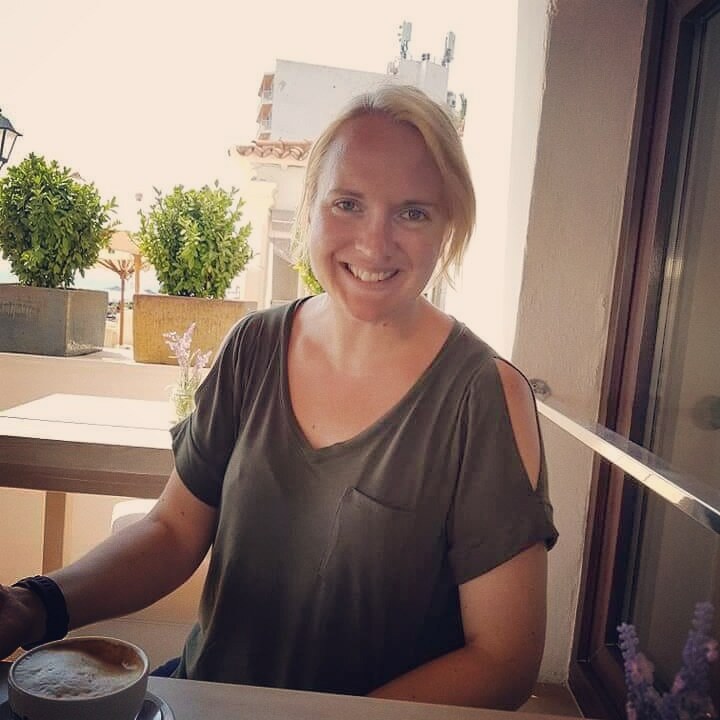 Many of us have got such flashy and enormous prams and pushchairs which are perfect for a day out at home, but are less practical when it comes to folding them up to go on a plane and for naptime by the pool. 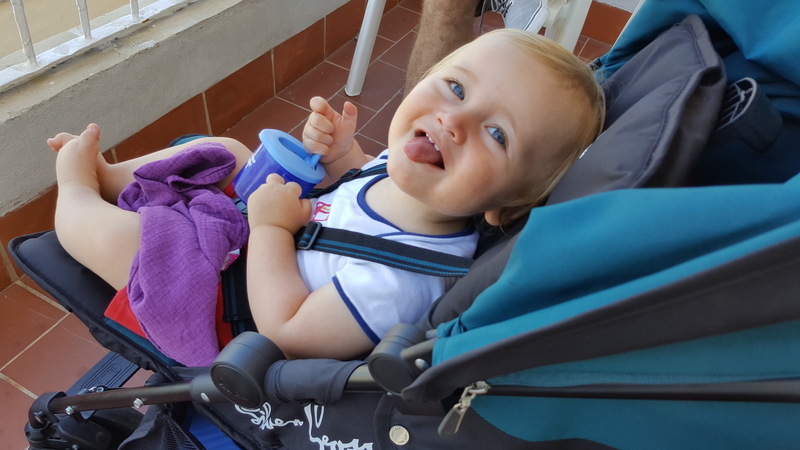 I knew when it came to going away on Jake’s first holiday to Majorca last month that I would need something more compact and manageable than our reliable but bulky Stokke Trailz. I was genuinely delighted to be offered a Silver Cross Pop to take away with us and fully road-test. We are still using a 5 year old Silver Cross Zest which lives at my parents’ for when they need to take Jake out and about so I already knew they make a fantastic pushchair. The Pop is marketed as a lightweight stroller, and at only 7.2kg it requires no effort at all to push, fold up or carry around. While it lacks weight though, it doesn’t compromise on quality. 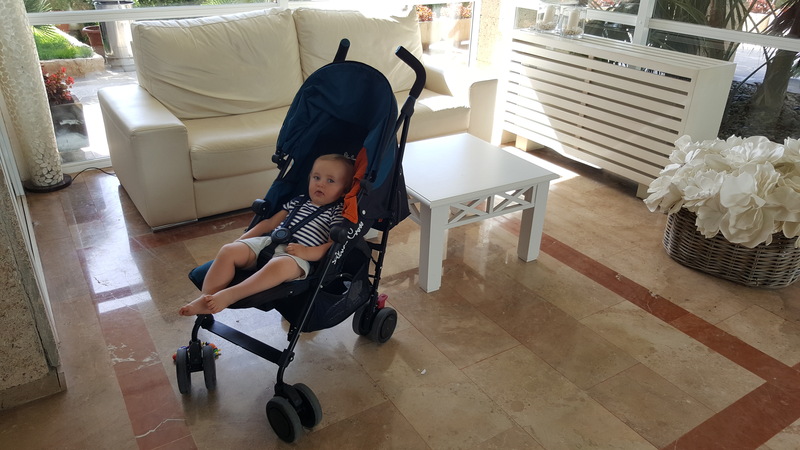 After 10 days in Majorca, in addition to the few weeks we were able to get used to it at home before we went, the Pop has proved itself to be an absolute workhorse of a stroller, with all the features of a pricier model. We received the stylish Jade colour scheme – a swanky dark green and black finish with some neat design touches – but there are a range of fun colours to choose from. The key selling point of the Pop is its lightweight aluminium chassis, which means it is effortless to get around, but is also strong as the proverbial ox pushing baby ox to the shops and back. It feels like a solid piece of kit rather than flimsy, and reassuringly, the brakes also lock into place with a satisfying click so the whole thing feels sturdy and secure. The soft grip handles are comfy to hold and avoid the issue of sweaty hands on a hot day, and the wheels generally go in the direction you want them to, the Pop being very easy to steer. It also seems to provide Jake with a comfortable ride as he normally looks very happy in it! 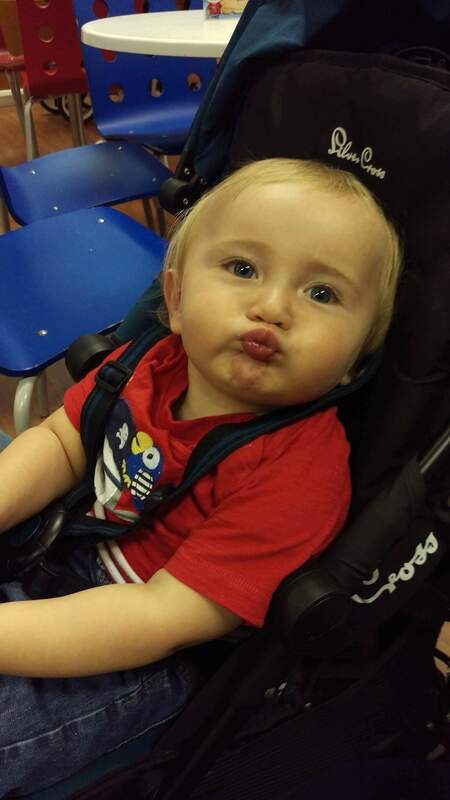 One happy chap in his Pop stroller! A great feature, especially for anyone travelling somewhere sunny (and for the occasional break in relentless cloud here), is the UPF50+ extendable hood, which neatly zips away when not needed but can be pulled right down in front of your baby or toddler’s face to shield them from the sun like a parasol. An extra mesh panel in the top enables ventilation when the hood is fully extended and allows you to keep an eye on your little one if they’re asleep. We also had a SnoozeShade with us which completely covers the stroller seat for sun protection and acts as a blackout shade, but I found the extendable hood really handy for short periods of unexpectedly being in the glare of the sun as it pulls down so easily. The extendable hood has come in just as handy at the park as on holiday. Practically, the Pop is suitable from birth as the seat reclines to lie fully flat, with an additional two recline positions as well as sitting upright for when your baby is able. The Pop is designed to accomodate a growing toddler with an adjustable calf support for little legs, a high seat back for head support, and the widest seat in its class which gives the stroller longevity until your child reaches 25kg. The 5-point safety harness is fully adjustable as you’d expect and is not overly fiddly so is easy to fasten and release. The Pop comes with its own rain cover which was fortunately not needed in Majorca but we’ve had to use it a few times here and it does the job just fine once you get it on the right way! The upright seating position means you can feed your little one when there is no high chair available. The only negatives I could comment on are minor – the shopping basket is not very easily accessible unless the seat is upright, and you sometimes have to go rooting under the skirt of the hood to find what you’re looking for. It also isn’t huge so you won’t fit much shopping in there but we found it perfect for keeping things like wipes, drinks and toys to hand while we were at the pool or in the evenings. You’d also be hard pressed to squeeze a changing bag under there but you can easily hang one from the handles. Enjoying the air-con in the hotel reception! We did find that the finish of the seat material, whilst being brilliantly wipe-clean, made for a very sweaty baby if he fell asleep in the stroller as it isn’t breathable, but in fairness it was over 30 degrees out there! The problem was slightly resolved by placing a muslin or towel on the seat prior to putting Jake in it, and this did help to absorb some of the sweatiness. You shouldn’t find it a problem under normal usage conditions! To sum up, I can heartily recommend the Silver Cross Pop if you’re on the hunt for a lightweight stroller for your holiday, if you frequently travel around the UK, or want something to throw in the car for days out. It easily folds up small enough to go in the big luggage racks on trains, as we did on our trip to Manchester in May, and takes up half the boot space of our Trailz if you have a small car. Whilst you can’t fold it one-handed, a simple two catch locking mechanism is straightforward enough and it unfolds even quicker once you reach your destination. From Majorca to local soft play – the Pop gets around. I’m just really impressed with the quality and design of the Pop, and we’ve put it through some pretty rigorous testing! I’m glad we’ve got a stroller now which will see us through to a time when Jake no longer needs one. Where will we take it next?? The Silver Cross Pop retails at £160. Discover more on the Silver Cross website. I was sent a Silver Cross Pop stroller for the purpose of this review. All opinions and descriptions of the product are my own.